This Gore May Mouse Head Cracker looks like the real thing. A gross food prop that is perfect for Halloween. Put one in a treat bag, or buy several for the Halloween party table. 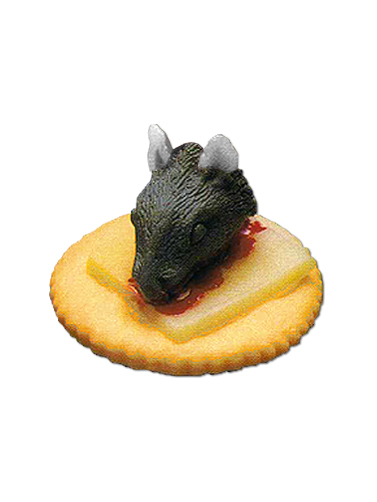 Includes one plastic cracker with attached cheese and rat head. Not edible. Measures 1.75" x 1.75" x 1". 1 ea.